The 4moms Origami was discontinued in 2017. The 4moms Origami is an interesting stroller, but what it has in flashy gadgetry it equally lacks in usability and maneuverability. Parents are likely to be drawn in by the promise of a self-folding stroller and fun additions like a phone charger, headlights, and undercarriage illumination. However, when we tested and compared this stroller to 19 other models, it came in last in our review. We found the stroller difficult to maneuver and harder to use than most of the competition. Overall, it is a stroller that looks cool on paper but fails to measure up to what many of the others in the group have to offer. The 4 Moms Origami claims to be what a stroller should be, but we disagree. It offers power folding with the touch of a button and has generators on the rear wheels to charge the stroller while you walk (though you do need to plug it in for recharging regularly). This stroller has unique running lights to make it more visible and pathway lights under the stroller that turn on automatically in low light conditions with four-wheel suspension and a no kick zone. It sports an LCD dashboard that includes a thermometer, speedometer, and trip and lifetime odometers, though it isn't very useful and is hard to adjust. It features a USB charger for cell phones and other accessories, four cup holders, storage pockets, and a removable storage bag. Additional safety features include a one push brake, reflective piping, zero pinch points, a child safety sensor, and a manual override feature. The Origami folds in three dimensions with no disassembly required and has luggage style pull wheels when folded. This results in a stroller with so many moving parts that it flexes significantly when pushed. This stroller is for children up to 40 pounds and has a reclining seat. Below is a chart of with performance scores for each stroller. It is easy to see in this chart how the Origami (shown in blue) did not win any awards with its bottom place rank. The sections below provide information on how the Origami performed compared to the competition in our tests for each metric. Metric scores were used to calculate the overall score. While the Origami is full of features, a lot of them are sort of useless and could break leaving you with a gadget filled door stop. The Origami scored a 3 of 10 for ease of use, tying with the Quinny Buzz Xtra; both strollers tied for last for this metric. Top performers in ease of use where the UPPAbaby's Cruz and Vista. The storage basket on the 4moms Origami is small and sort of useless for holding a normal sized diaper bag. The 4moms under seat storage basket is smaller than most of the competition and is rated to hold 10 pounds. We were able to fit a small diaper bag in the basket but had no luck with the larger bags we used for testing. The basket has access from the back only, and it is about average for the ease of access for the group. Other strollers offered access from multiple sides or had a larger opening than this stroller. Given its smaller size and limited access, we wonder if they even intend for parents to put a diaper bag inside. There are three small pockets on the back of the seat for storing smaller items like your keys or phone, which is nice. The pockets have a maximum allowable weight of 4 pounds collectively. Opening the zippered ventilation on the Origami makes the canopy larger, but it also leaves baby exposed to the elements. This stroller also didn't fare well in the sun shade category scoring second to last for size and features. The sunshade on the Origami is smaller than most, and it doesn't list an SPF level. The shade does offer some ventilation, but it's not necessary given its limited size. The ventilation doubles as a large peek-a-boo window with a zipper opening. The Console on the Origami is busy and the orange fold button can be accidentally pushed folding the stroller when you don't intend to. This stroller scored relatively well for convenience, and it is one of the few metrics where it excelled; only the Chicco Bravo LE scored higher. The Mountain Buggy Swift and the Stokke Scoot scored the lowest for convenience offering very little for parents or baby. The Origami also has parent and passenger cup holders. The cup holders are a nice addition, given that many of the strollers in this group lacked them all together, but they aren't the deepest cups, and there might be some concern for taller cups or bottles falling out. These parent holders are not removable and are open on the bottom, so they are not suitable for holding smaller items. The passenger holders are canvas pockets that worked with our test cups and bottles. These pockets are located on the inside of the seat. This makes them easy for passengers to utilize without leaning forward. The leg rest on this stroller is not adjustable, but it does have a foot rest good for older children made of a rubberized material and appears to be easy to clean. The foot rest is narrow, but will probably work well for most children. The recline assembly on the Origami is fairly easy to use, but not as easy as the strollers with a push button recline. The Origami has an adjustable recline feature that can be operated with one hand with an adjustable strap to lower. It has relatively limitless angle options with a minimum recline option of 42.3 degrees from flat. Wile sort of fun at first we suspect the information console on the Origami will go largely unused over time. This stroller features a self-folding mechanism that operates with the touch of a button. It uses battery energy that is recharged with movement from the wheels and a charger plugged into the wall. It also has a console that provides information on the speed and distance walked, light usage, and other operating features. Neither feature is as useful as it sounds and if something breaks or the battery fails, you won't be able to fold the stroller very easily. And while the one button push is nice for folding the stroller you will still need to bend down to pick it up for transport, and you'll need to remove any contents of the storage basket before folding. The information console seems like a nice feature, but it doesn't tell parents anything they need to know, and we suspect that once the novelty wears off that most parents will stop using it. We feel that the increase in mechanical gadgets increases the possibility that things could break or need more maintenance than other strollers. Also, the folding mechanism is only possible thanks to the stroller having multiple folding points that result in a stroller that has a significant amount of flex when pushing. The plastic wheels on the Origami feel flimsy and delicate compared to the weight they need to support. 4Moms earned the lowest score for maneuverability in our tests with a score of 2 of 10. The BOB Revolution Flex earned the high score in this metric with a 9. The average for the group is a 6. While a standard style stroller might not need perfect maneuverability that you would expect in a jogging stroller, it still should be easy to push and turn on flat surfaces and in tight spaces that parents might encounter on busy sidewalks or cafes. The Origami is designed differently than any other stroller in this review. The Origami has a "soft" feeling frame thanks to the collapsable folding mechanism. This makes the stroller harder to control when pushing. The four wheels extend from a center hub that results in the rear wheels easily catching on tight corners and the front wheels sticking out far enough to run into most things. While the wider stance might increase stability, it decreases the ability of the user to push the stroller easily. This is harder with heavier children, so the challenge will increase as children get older. This stroller 's hard to maneuver around tight corners and is difficult to push one handed. It did manage small bumps and carpet surfaces without increased difficulty, but it is harder to push off hard surfaces, and the frame flexes so much that we had little control when moving on uneven terrain. The soft suspension and increase frame flex make it difficult or somewhat impossible to lift and move the stroller up and over curbs and stairs. Plus you run the risk of damaging the motor and charging mechanisms on the bottom side of the stroller. The multitude of plastic components on the 4moms results in a lower score for quality. This stroller earned a 4 of 10 for quality, tying with the Graco Aire3 and the Baby Trend Expedition. This is the low score in our tests for this metric. Top scores were earned by the BOB Revolution and the Vista. The fabric on the Origami is removable and can be machine washed. This stroller seat has a canvas material that is kind of slick to the touch and a little rougher on the skin than the competition. Our testing indicated the material would be easy to wipe clean, but it might not be breathable. The material on the footrest is a flexible rubber that feels durable and can be easily cleaned by turning it inside out and wiping with a wet cloth. The material on the canopy is a light weight spandex material with a finely woven mesh ventilation/peek-a-boo window that doesn't feel very durable, and we worry it won't wear well over time. It did perform well in our snagging test, but time might yield a different result. The storage basket is made of the same rubbery type of material as the footrest and mesh as the canopy. The loosness of the fabric on the Origami canopy doesn't look as nice as the taunt fabric found on some of the higher ranking strollers. The frame on this stroller is interesting and certainly cool in its functionality to automatically fold, but that is where the fun stops. Because of the design necessary to fold itself with the touch of a button, it resulted in too much flex, and it feels like it is going to break if you push it too hard. It is primarily made of plastic, at least the parts you can see, and the flex makes the whole thing feel like it will fold up on itself without pressing the button. The wheels on the 4moms are foam filled plastic which we don't like as much as pneumatic tires or foam filled rubber. The wheels feel cheap and flimsy, and on the model, we purchased the left rear wheel had a significant amount of play when pushed that made the ride feel flimsy. Much of the competition had tighter wheels and frames that led to an overall superior feeling. The fit and finish of the stroller are not impressive, so while it looks kind of futuristic and the fabric looks nice, when we looked closer the illusion wore off, and it felt to us like it was a far cheaper product. The handle on the Origami is a nice size, and we liked the feel of the foam on the palm. We suspect it will continue to feel good in the hand even after a long walk. However, the handle itself is lower, and it gets lower when you push the stroller with weight in the seat because it "squishes" down. The junction where the handlebar connects to the frame gets in the way when you walk, and we found ourselves occasionally kicking the storage basket. 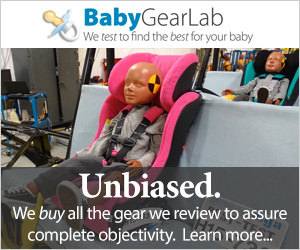 This stroller earned an average score for safety in our tests with a 6 of 10. Top scoring for safety was the Baby Jogger City Select. The brake pedal on the Origami is plastic much like most of the other components. The brakes on the 4moms is a single action brake applied using the button on the right rear wheel. It is easy to operate, and the stroller slides about 1.25 inches forward after setting; this is average compared to the competition. It is sandal friendly because the release is pressing the button down for a second time so there is no need to use the top of your foot. The Origami harness is harder to use and adjust with a rethread height adjustment method. The 4moms has a 5-point harness with adjustable shoulder straps and a stationary crotch strap. The shoulder straps are harder to adjust than some of the competition, and the unmoveable crotch strap means the parents might have trouble finding the best fit for baby, which could result in a potential safety concern if the harness is not tight enough. Adjusting the harness is one of the hardest in the group with the lowest score in our tests. Using the buckles is relatively easy to connect, but more difficult to get undone. Some of our testers had difficulty with the buckle, and their hands slid off the part of the buckle that needs to be squeezed to operate; we had to use two hands to release the buckle. The auto-fold of the Origami is easy, but fraught with potential problems including mechanical break down and accidental closing. For weight and folded size the Origami scored a 6 of 10, which is below average. The high for this group went to Mountain Buggy Swift, the Baby Jogger City Mini and the Baby Jogger City Mini GT with scores of 8 each. The Origami weighed in at 34 pounds 3 ounces at BabyGearLab; the manufacturer claims a weight of 32 pounds. This is the second heaviest stroller in the group, and this makes it difficult for some parents to lift it. The extra weight is likely a byproduct of the mechanical components and the motor that allow the lights to work and the stroller to fold. In comparison, the Britax B-Agile 3 and Baby Jogger City Mini that only weigh 17.5 pounds, almost half that of the 4moms. Folded size for this stroller is 10,876 cubic inches, with dimensions of 20.5"W x 13.5"H x 39.3"L. This means that it is one of the largest folded options in the competition. So even if the weight doesn't bother you, there is a chance that this stroller might not fit in as many small spaces. If you add the horn like handlebars that stick out, you get a stroller that is hard to load and unload from a trunk. If your trunk is small or deep, it is probably not the best option if you will be transporting it on a regular basis. This stroller is harder to setup than most of the competition with a second to lowest score with a 4 of 10. It took us over 11 minutes to set up. The documentation is pretty good, and the instructions are relatively clear. However, it is illustrations only, and that might cause trouble for some parents. It does require tools to set up, but the tool you need is included. We had to retighten the handles multiple times because the Allen wrench is hard to use in the tight spot you need to get to. This stroller requires a day of charging before use, so don't plan on strolling soon after setup. The 4moms is not compatible with any car seat unless you purchase an additional adaptor. This is not that common in this group of products, as most come standard with at least one compatible car seat. Only eight strollers out of those we reviewed do not come standard compatible with at least one seat. You can purchase an adaptor for this stroller that will work with the Graco SnugRide Series. We did not test this adapter, and the Snugride infant car seats did not score that well in our infant car seat review. This stroller has a significant limitation over compared to the competition that in general offer multiple car seat compatibility options. Some parents might be drawn to this stroller thanks to the ease of self-folding and the fun of having a phone charger and other gadgets. However, we don't feel there is a best application for this stroller given its weight and folded size. The self-folding mechanism is interesting, but we found ourselves accidentally closing the stroller when we didn't mean to and can imagine this happening with a baby on board (yikes!). Also, if you forget to charge it, then you can't use it. Also, the more gadgets something has, the higher chance there is for something to break and prevent parents from using it as intended. While we think some of the features on this stroller are nice, in the end, we are disappointed in the execution. This stroller costs about $850. This is not the best value considering that many of the top rated strollers in our review cost significantly less. All the award winners in the review scored higher than the 4moms and had lower prices, so it is hard to justify the added expense for a product that didn't fare well in our testing. Both Editors' Choice winners, the UPPAbaby Cruz at $499 and the BOB Revolution Flex at $489 are better options. In the side-by-side images above you can compare Origami canopy closed and open. The 4moms Origami is a gadgety stroller that has some neat features that seem like they will make a parent's life better. Unfortunately, the stroller lacks some key elements that are necessary for a primary stroller. Our tests showed it is difficult to maneuver and push on most surfaces in part thanks to the flexing frame, soft suspension, and plastic wheels. It lacks any real space for storage making it difficult to take a diaper bag along, which trust us you are going to need and won't want to carry. With a futuristic look, cool lighting, and self-folding frame it will lure in many parents, but we feel these features are not enough to make up for a hard to use stroller that costs more than higher ranking strollers that offer more with better functionality. 4moms doesn't make any other strollers, but it does offer a few accessories for this one. Parents can purchase additional seat pads in what the company calls "Color Kits." There is also a weather shield, bassinet, handlebar bag and phone charger, and the Graco SnugRide Classic Connect car seat adapter.